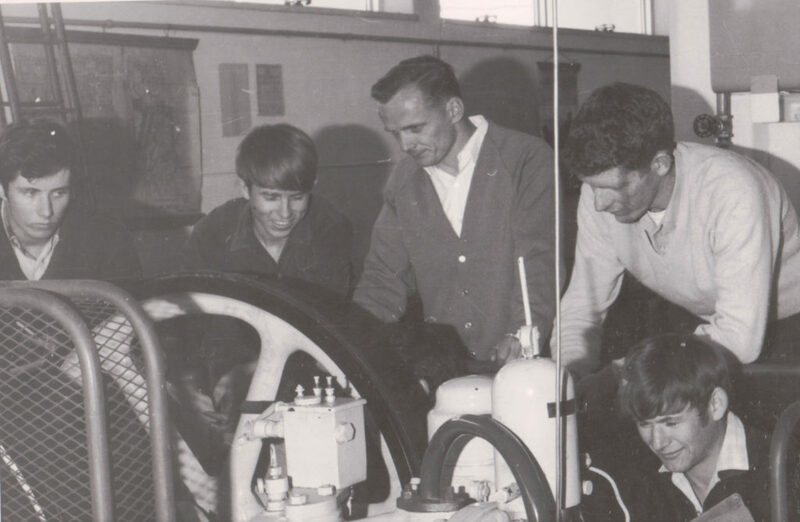 When the Western Australian Institute of Technology (WAIT) began teaching students in 1967, it drew on a rich history of technical education in Western Australia to offer industry-focused higher education courses to a booming post-war population. The key organisational milestones in our subsequent journey to becoming the state’s largest and most multicultural university are included below, as are the legacies of our leaders over these past five decades. In 2017, we will be adding additional timelines to explore Curtin’s evolution in more depth, including specific information relating to our teaching and research activities, our social journey, the changing student experience, our Indigenous journey, our campus evolution and expansion, and our strengthening global focus. Curtin’s genesis comes about when Perth Technical School is established (later to be renamed Perth Technical College). The evolution of Curtin’s physical campuses has put a unique stamp on the University. The history, architecture and sense of place embodied by our campus journey reflects our boldness, our forward-looking nature and our responsiveness to the changing needs of our students, our partners and the broader communities we serve. Today, Curtin campuses stretch across the horizon from Perth to Asia and, soon, the Middle East, engaging students from a diversity of countries, disciplines and walks of life. Perth Technical School, later Perth Technical College, opens in the Old Perth Boys’ School in St Georges Terrace in the CBD. Focused on the scientific training behind ‘occupational’ work, the PTS was the early precursor to WAIT. Curtin would revisit its origins in one of the city’s oldest buildings when it again occupied the Old Perth Boys’ School building in 2016. Education was seen as the key to economic development for Western Australia’s booming population following World War II. 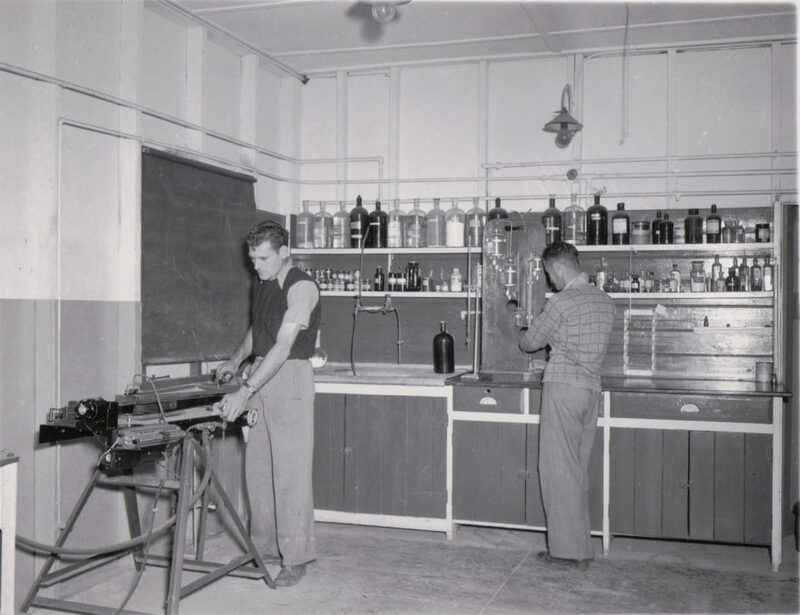 With the Perth Technical College bursting at the seams in the 1950s, plans were developed for a new, specialised tertiary institution to serve the professional needs of industry. On 19 June 1962, Premier David Brand announced that a new type of ‘college’ would be built at Bentley. 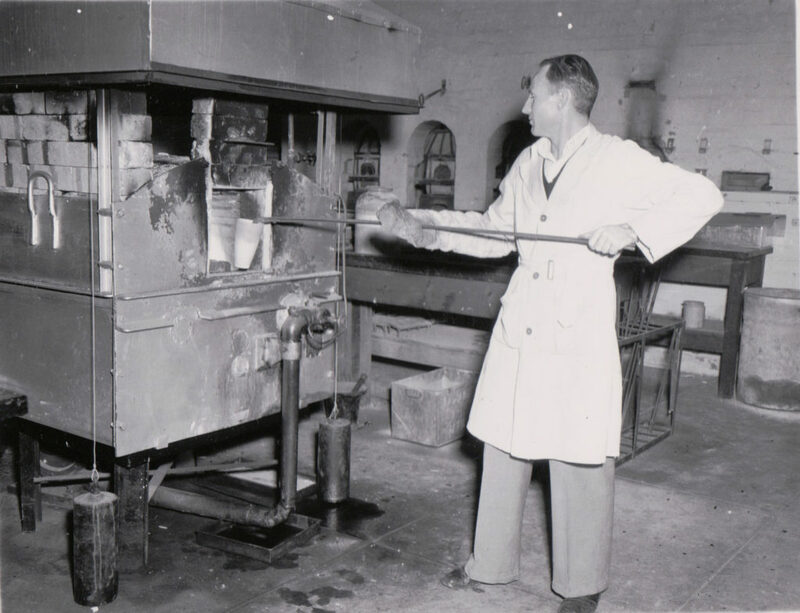 Western Australian Premier David Brand announces that a new college will be built in Bentley, on 100 acres of land burnt out in the 1957 fire that destroyed part of the Collier Pine Plantation. The Bentley campus will be situated on the original land of the Beeloo group of Nyungar people who hunted and fished rivers, forests and banksia scrub in the area for thousands of years. 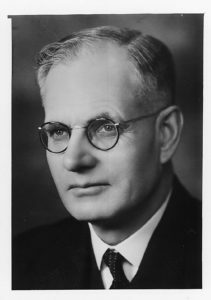 WAIT came about thanks to the vision and efforts of four key figures in Western Australia’s post-war educational scene: Dr Lesley Phillips, Superintendent of Technical Education (1943 to 1948); his successor, William George Inglis (George) Hayman; Thomas Logan (TL) Robertson (pictured), the WA Director of Education; and Haydn Williams, the Director of Technical Education, who would go on to become WAIT’s first director (see ‘Our Leaders profile). The major infrastructure is completed for the Western Australian Institute of Technology (WAIT) at Bentley, on Nyungar land that is the site of the former Collier Pine Plantation. The WAIT Act receives assent in December, with a mandate for the new institution to provide practically focused higher education courses, relevant to the needs of industry. The establishment of WAIT effectively splits the Perth Technical College in two, with those courses not transferring to WAIT remaining in the reduced-sized technical college, later to become Central TAFE. The first WAIT students begin their studies. Haydn Williams, inaugural WAIT director 1967-1979 Western Australia’s former director of technical education was one of the key players in WAIT’s formation. As its first director, he built solid teaching and administrative foundations and led the institution through a dramatic period of growth: WAIT opened with an enrolment of approximately 2,800 students and, by the end of his tenure, this had grown to more than 12,000. With his broad view of technology, which embraced the arts as well as the sciences, Williams quickly established WAIT’s reputation for innovation and for integrity and social inclusion. He is widely recognised for his contribution to the development of education in Western Australia. Students begin studying at the new WAIT campus in 1967, with the main administration buildings officially opened the following year. Vin Davies, architect with the Public Works Department, designed the first buildings for the new institute in a utilitarian ‘brutalist’ style of brick and off-form concrete that reflected the practical and egalitarian nature of the institution. These buildings are now a celebrated example of modernist architecture of this era. 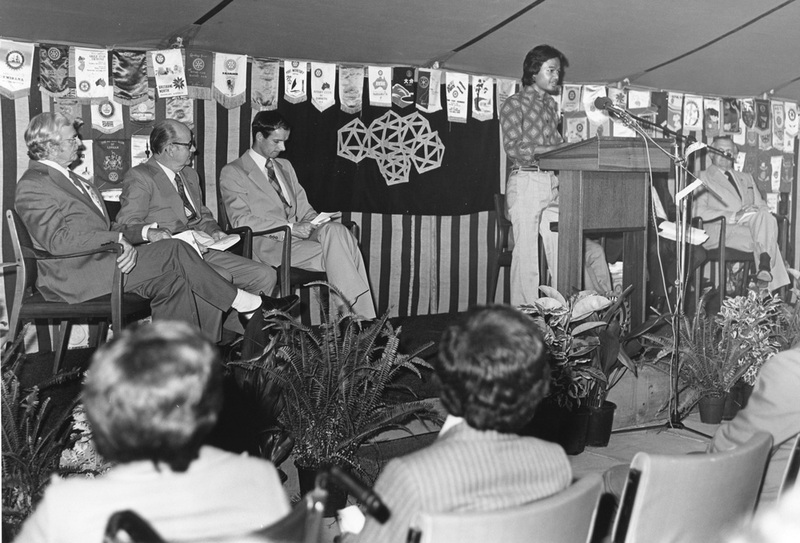 The Student Guild is established, with the first Guild Council taking office in 1969. 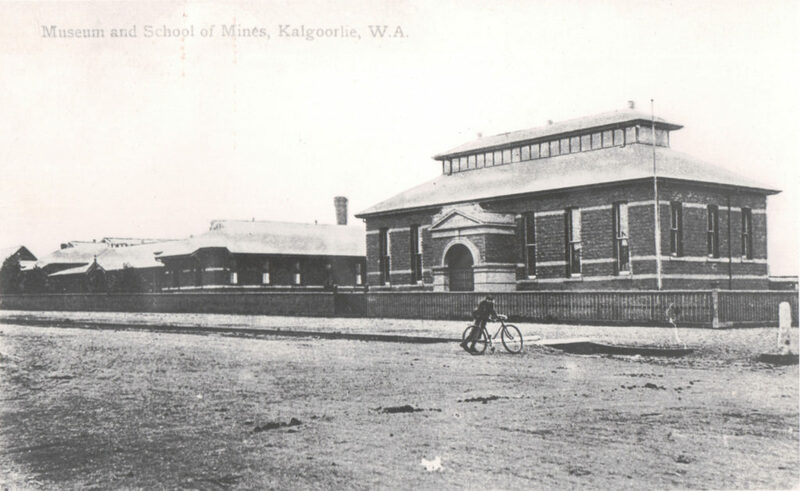 Two of Western Australia’s key educational institutions for the important mining and agricultural industries join WAIT soon after its establishment: the Western Australian School of Mines in Kalgoorlie, established in 1902, and the Muresk Agricultural College in Northam, established in 1926. The School was established in the Goldfields in 1902 as a result of a recommendation of a Government Committee of Inquiry. Following the discovery of gold at Coolgardie and Kalgoorlie, people flocked in their thousands to this part of the State. With the difficulty of treating refractory ores and the prospect of underground mining becoming a reality there was an urgent need for a facility to train and educate people in mining related fields of study. The School was initially set up at Coolgardie in one of the buildings erected for the International Mining and Industrial Exhibition of 1899. 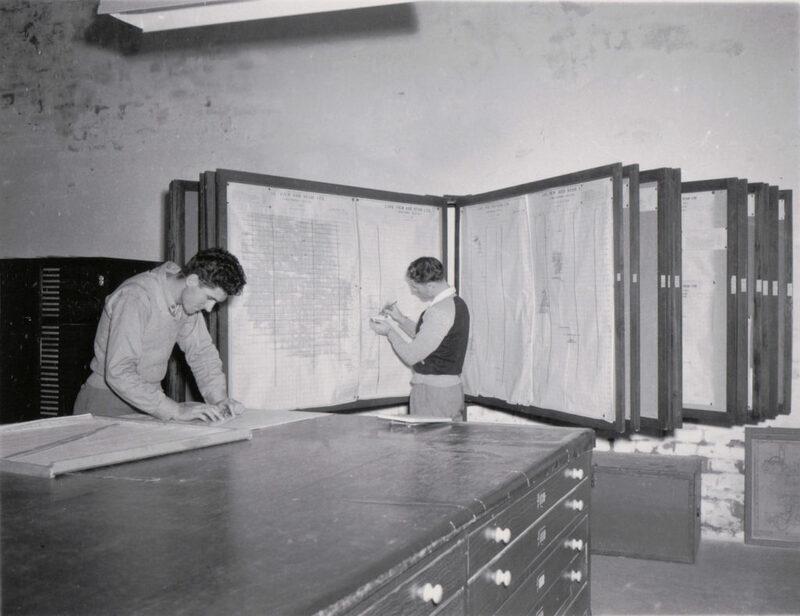 However, at about the same time, the State Government released sufficient funds to build new premises at Kalgoorlie and consequently staff and students moved to this location in 1903. The original building now houses the School’s Computer Centre, Mining Geology Program and Administration. The School was administered by the Department of Mines until 1969 when it became a branch of the Western Australian Institute of Technology, which has since become the Curtin University of Technology. Its associateship courses were renamed as degree courses, additional undergraduate courses were introduced, and a range of course and research postgraduate programs have been developed. Both will play an important role in WAIT and Curtin’s development. Responsibility for management of the Muresk Institute, as it is later to be known, transfers to the State Government in 2012. WAIT takes responsibility for the state’s physiotherapy, occupational therapy and chiropody disciplines. WAIT’s footprint expands beyond Perth with the acquisition of The Muresk Agricultural College in Northam and the Western Australian School of Mines in Kalgoorlie. Both are well-established sites, built in similar architectural styles reflective of their early 20th century origins. WAIT’s main library, the TL Robertson Library, opens, along with another vital student service, the Computer Centre. WAIT’s main library – the TL Robertson Library – opens: the first stage to meet a budget of $2.29 million, with branch libraries at Muresk, Kalgoorlie, Royal Perth Hospital, Shenton Park and several other sites to follow. WAIT’s first buildings were arranged along a central ‘spine’ with the imposing Library intended as a focal point. The first stage of Agricola House opens to provide accommodation for students at the Western Australian School of Mines, thanks to funds contributed by the federal government and the fundraising efforts of long-term WASM champions and benefactors Sir Laurence and Lady Jean Brodie-Hall. 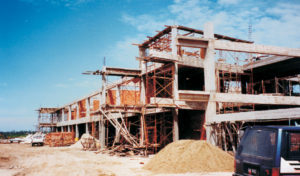 In 2012, funding is secured for a major redevelopment of the complex. The Computer Centre opens in Building 309, housing the University’s mainframe and a teaching and service hub, with Western Australia’s first computer professionals trained here. No-one could foresee the revolutionary nature of IT over the next 50 years and its subsequent impact on teaching and learning. Occupational therapy, physiotherapy and chiropody find a home in the Department of Therapies at the new Shenton Park campus. The Shenton Park campus of WAIT opens, housing the Department of Therapies. Radio 6NR is established at WAIT ­- Western Australia’s first community radio station. Guild House and Rotary International House are the first student residences to be built on the Bentley campus. They will be followed by Don Watts House, Kurrajong Village, George James House, Vickery House, Erica Underwood House and Japan House. 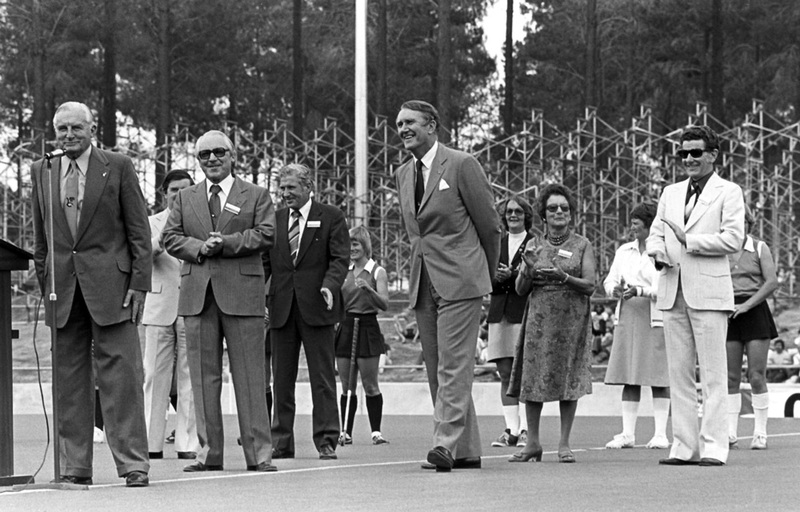 The Commonwealth Hockey Stadium (later to be known as the Perth Hockey Stadium) opens at WAIT. Professor Don Watts, WAIT director 1980–1986 and inaugural Vice-Chancellor of Curtin University of Technology, 1987. Professor Don Watts, WAIT director 1980–1986 and inaugural Vice-Chancellor of Curtin University of Technology, 1987. Watts brought a variety of skills and interests to his new leadership role at WAIT: a research background in chemistry, senior leadership roles at the University of Western Australia and a keen interest in university governance. A dynamic presence at WAIT, Watts managed the institution successfully through the economic downturn of the early 1980s, building its financial accountability, strengthening its research and development activities and establishing its reputation as an institute of service to the community. A significant and influential figure in Australian education at the time, he helped sweep away the binary system of higher education that afforded universities higher levels of status and government funding than technical institutions. WAIT flourished under his entrepreneurial leadership style and he succeeded in his controversial push for WAIT to achieve university status, leaving shortly afterwards, however, to become inaugural vice-chancellor of Australia’s first private university, Bond University. In the 1980s, private architects begin adding to the Bentley campus in red brick that offsets the ageing concrete – with details such as archways, courtyards, stairs and inlaid stonework lending points of visual interest. Exotic landscaping begins in earnest on the Bentley campus, taking the sharp edge off brick and concrete buildings. Spaces between buildings are used to create pockets of beautiful, meticulously maintained gardens which become an attraction in their own right and reflect the ambitions of the University. Curtin commits to equal opportunity approach to employment, for women in the first instance, and later for Aboriginal people and other disadvantaged groups. The WAIT Amendment Act passes on 3 December and is proclaimed on 19 December, enabling WAIT’s status to be changed to that of a university. WAIT begins operating as Curtin University of Technology – Australia’s first university of technology. 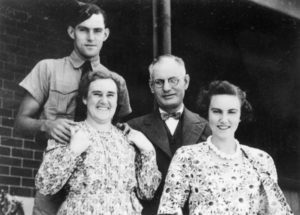 The Curtin name was taken from the influential and widely revered former Prime Minister of Australia, John Curtin. 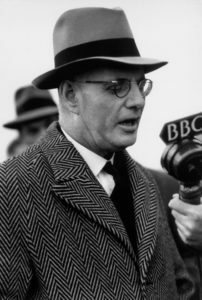 Remembered as a true statesman, Curtin held office during World War II from 1941-1945, when he died in office only six weeks before the Japanese surrender. He led Australia through some of its darkest years with resolute tenacity and will be remembered by Australians, regardless of their political leanings, as one of the country’s greatest leaders. Now, more than 50 years after his death, Curtin University still strives to honour John Curtin’s values of vision, leadership and community service. We believe our innovative curriculum, world-class research and dedication to community service embrace John Curtin’s values. Professor John de Laeter, Acting Vice-Chancellor, Curtin University of Technology, 1987–1988. Professor John de Laeter, Acting Vice-Chancellor, Curtin University of Technology, 1987–1988. 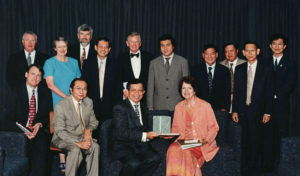 As acting Vice-Chancellor, de Laeter brought an impressive international scholarly reputation in physics to the newly established Curtin University of Technology. A senior leader at WAIT, and before that the Perth Technical College, he worked hard to consolidate the organisation’s new position in the wake of its change in status, focusing on the development of its applied research foundations. 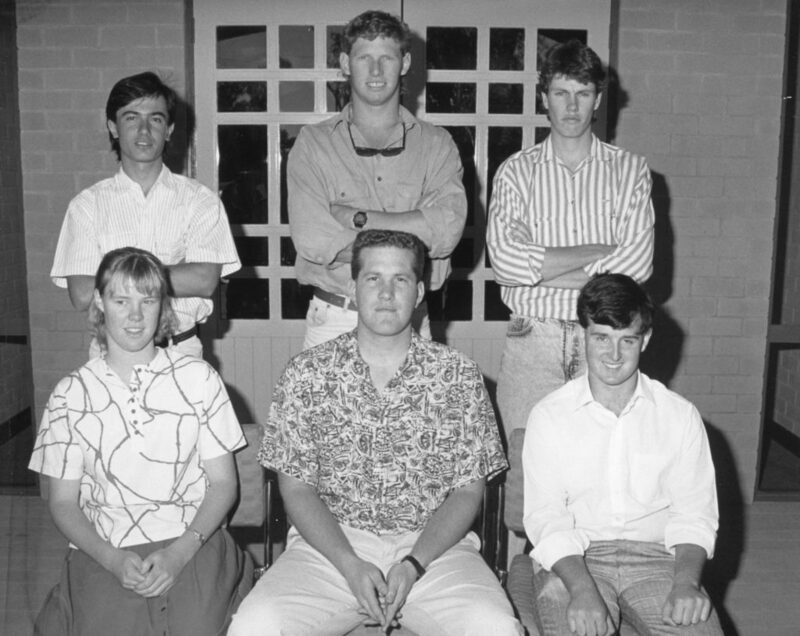 Following the appointment of John Maloney as the new vice-chancellor, he took on the newly created role of Deputy Vice-Chancellor, Research and Development and he remained at Curtin until his retirement in 1995. Today, he is recognised as one of the most outstanding academics in the history of the University. His impressive international reputation in the field of science has seen a minor planet named after him. Professor John Maloney, Vice-Chancellor, Curtin University of Technology, 1988–1997. Professor John Maloney, Vice-Chancellor, Curtin University of Technology, 1988–1997. With a background in atomic physics and international research experience exploring the interactions between the biological and physical sciences, Maloney cut short his research work to take up vice-chancellor’s position at Curtin. Having taken on the leadership role at a time of decreasing federal funding for students, he turned his attention to international horizons, establishing fruitful Asian markets, especially for Curtin’s business courses. He also honed a more strategic research approach, creating the important position of Deputy Vice-Chancellor, Research and Development and expanding the profile of graduate studies. Under his leadership, the John Curtin Centre building project would take shape, creating an impressive physical heart for the main Bentley campus and important new cultural and historical resources for the community in the form of the John Curtin Gallery and the John Curtin Prime Ministerial Library (the nation’s first such prime ministerial library). He would leave, however, just before the Centre opened to take up a senior position at Monash University. Curtin’s regional strategy expands with new locations and partnerships across the state, beginning with the Esperance Community College in 1998. By 2011, Curtin will have a presence in Margaret River, Esperance, Albany, Geraldton, Carnarvon, Karratha and Port Hedland. Curtin joins the Open Learning program (now known as Open Universities Australia) to provide flexible education opportunities to students unable to attend campus. 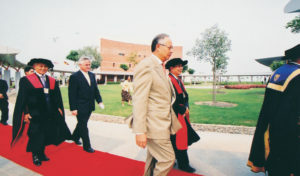 The Curtin Graduate School of Business opens in 1993, building on the success of Curtin’s MBA program. The new graduate school is strategically located in St Georges Terrace in the Perth CBD to be closer to the business community from which many of its students will be drawn. 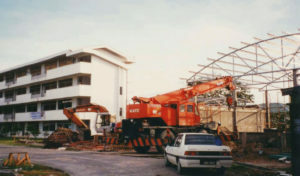 In 2002, the GSB upgrades to alternative city premises in Murray Street, where it continues to build its profile and reputation. Curtin takes business education to busy professionals in Perth City, with the Graduate School of Business establishing itself on the thirtieth floor of the QVI building in St Georges Terrace. In 2002, the GSB relocates to another central site in the city, with the historic printing works building in Murray Street revamped into a functional and interesting interior space for graduate business education. The purpose-built Centre for Aboriginal Studies is opened, offering a sense of place for Aboriginal students and staff and cementing Curtin’s strong commitment to increasing educational opportunities, self-empowerment and recognition for Indigenous people. Curtin Volunteers! is established as a non-profit organisation to provide a vehicle for students to carry out community projects, honouring the spirit and legacy of John Curtin. It gives rise to the annual John Curtin Weekend activities which see students heading out to regional towns across the state to support a wide range of community-building activities. The architecturally distinct Centre for Aboriginal Studies opens – a very visible symbol of Curtin’s commitment to supporting Indigenous identity, education and reconciliation. It is the first purpose-built centre in Australia to provide a strong and identifiable base for Aboriginal and Torres Strait Islander students on a university campus. Light-filled and open and incorporating natural building materials such as wood and stone, the building is based on curved lines distinctly different from most of the other buildings on campus. Horticultural expert Matthew Lunn is recruited from the Kew Gardens in London as Curator of Parks and Gardens at Curtin – his team will go on to transform the look and feel of the Bentley campus, providing an enormous sense of pride to staff and students. Professor Lance Twomey, Vice-Chancellor, Curtin University of Technology, 1997–2006. Professor Lance Twomey, Vice-Chancellor, Curtin University of Technology, 1997–2006. As head of Curtin’s School of Physiotherapy and then Deputy Vice Chancellor, Academic Affairs, Twomey knew the organisation well. 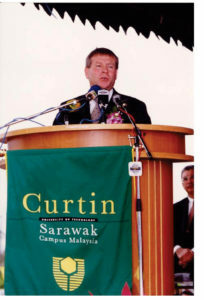 He continued to move the University towards academic excellence when he became vice-chancellor, outlining his vision to make Curtin a ‘world-class university of technology.’ His emphasis on growing an international strategy was a key part of his vision, as was his focus on teaching excellence. He created two new Deputy Vice-Chancellor positions to cover these key portfolios. 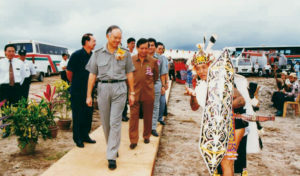 Curtin’s first offshore campus, Sarawak, was also established during his tenure. Twomey also fostered a strong sense of social equity at Curtin, promoting women to higher management positions, promoting the University’s multicultural mix and strongly encouraging access by Aboriginal students and other disadvantaged groups. Under his watch, the landscaping at the main campus was significantly enhanced, providing an enormous sense of pride to staff and students and impressing the University’s many visitors. He retired after a decade at the helm. The John Curtin Centre opens, introducing a signature ‘red brick’ architectural style to Curtin, honouring the University’s namesake and paving the way for a greater public profile for the University – through the John Curtin Gallery, John Curtin Prime Ministerial Library, and an impressive outdoor public forum. The John Curtin Medal is established as Curtin’s most prestigious non-academic award, recognising individuals in the community who have made a significant contribution in their field and who have exhibited John Curtin’s qualities of vision, leadership and community service. It signals the University’s strong commitment to social advancement and engagement. The opening of the John Curtin Centre is a landmark moment in the development of Bentley, creating a new visual focus and identity in the heart of the campus. The Centre houses the John Curtin Prime Ministerial Library, the John Curtin Gallery and the Kirribilli Café. Curtin signs a Statement of Reconciliation and Commitment, signalling its commitment to building relationships, respect and trust between the wider Australian community and Aboriginal and Torres Strait Islander peoples. Curtin International College is established at the Bentley campus, providing a pathway into Curtin for students who have not met university entry requirements through their secondary schooling. 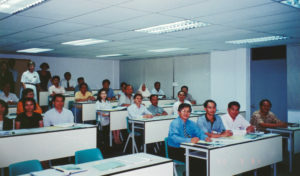 The College, which attracts students from many countries, is run by private company, IBT Education (later to be known as Navitas) in partnership with Curtin. It is later renamed Curtin College. Curtin Malaysia officially opens as Curtin’s first permanent offshore campus, quickly establishing itself as the ‘gold standard’ of international education. After two years in leased facilities, Curtin Malaysia officially opens, with the University’s first offshore permanent campus echoing architectural themes of the main campus in Bentley, with red brick integrated with beautifully landscaped gardens. Physiotherapy and Business co-locate in Building 408, a bold new building on the northern end of the Bentley campus. The visually playful water thermal storage tank – in bright orange and yellow – becomes a striking sight when entering campus from the north and, collectively, these structures enliven the profile of this end of the campus. Curtin expands its regional presence with campuses in Esperance and Margaret River. The Sydney campus opens its doors, offering undergraduate and postgraduate business courses. A decision is later made to close the campus in early 2017. As part of Curtin’s regional expansion, the Margaret River Education Campus is established in partnership with government, business and other education providers. This modern and attractive facility, in the heart of the state’s wine growing region, continues to house the Curtin-led Centre for Wine Excellence. Professor Jeanette Hacket, Vice-Chancellor, Curtin University, 2006–2013. Curtin Sydney opens in the historic precinct of The Rocks, with courses managed by long-term business partner Navitas. This new campus offers business courses to primarily international students living on the east coast. It will be wound up in 2017 as the result of a strategic review of Curtin’s operations. The physically bold and impressive Resources and Chemistry Precinct opens. The State Government supported development sees the co-location of research and business organisations to encourage collaboration and help take the state’s science and innovation activities to the world stage. Curtin Singapore, Curtin’s second permanent offshore campus, is opened. Curtin becomes the first Australian teaching and research institution to develop its own Reconciliation Action Plan to strategically address shortcomings that exist between indigenous and non-indigenous Australians within the University’s framework. Curtin Singapore is established as Curtin’s second permanent international campus. The campus offers a new architectural look for the University with its bold, white, high-tech contemporary style – also soon to be seen in the brand new Curtin Stadium on the Bentley campus. The Curtin Stadium is opened, supporting the University’s strategies around health and wellbeing, community access and elite athletes. The pure white form of the Curtin Stadium rises dramatically from the rich green of its surrounding playing fields on the western side of the Bentley campus. The massive new recreation and events centre incorporates impressive new gymnasiums, group fitness areas, an outdoor beach volleyball court and a hall suitable for all sorts of large events. It is designed by two former Curtin students – architect Melinda Whelan and interior designer Kirsty Griffiths – working for project architects James Christou + Partners. Curtin University of Technology begins trading as Curtin University, to better position itself in international markets, especially Asia. Planning begins in earnest on the Greater Curtin master plan, outlining Curtin’s 2030 vision for bringing research, business and creative knowledge together in a vibrant, urban knowledge hub on the Bentley campus. The plan provides for the development of sustainably designed office, retail, transport and accommodation facilities to effectively turn Curtin into a university town. Curtin’s new Engineering Pavilion is opened by Prime Minister Julia Gillard. Capitalising on its high rankings for engineering, Curtin invests in a state-of-the art facility for lifting learning to great heights and encouraging innovation in engineering. As planning for the Greater Curtin vision progresses, a place activation plan is developed for providing more lively and accessible spaces on campus outside study time: an outdoor cinema, pop-up food stalls and facilities for relaxing, interacting and enjoying a range of cultural experiences soon bring new colour and buzz to the campus and are the first signs that something big is afoot. The Curtin Law School is launched, initially running its programs from the Bentley campus. Massive, open, online courses, or MOOCs, are offered for the first time, one of many digital strategies embraced by the University as it repositions its teaching and learning platforms for the digital age. Professor Deborah Terry, Vice-Chancellor, 2014–present. Professor Deborah Terry, Vice-Chancellor, 2014–present. A recognised international scholar in psychology and former Senior Deputy Vice-Chancellor of the University of Queensland, Terry is seen as an ideal choice to lead Curtin on its path of being a globally-focused, research-intensive university. In her first couple of years at Curtin, Terry has shown a commitment to building on Curtin’s strengths and successes, including managing final approvals for the Curtin Medical School, overseeing construction of its state-of-the-art new building at Bentley and planning for the medical school’s outer-suburban presence at Midland. Furthering Curtin’s global agenda, she has developed important new educational partnerships with prestigious international universities such as the University of Aberdeen and Fudan University and overseen the development of Curtin’s new Dubai campus. She has also given priority to creating a much stronger presence and profile for Curtin in the Perth CBD to support deeper engagement with the business community. Well-regarded for her consultative leadership style, she is also contributing much to strengthening the University’s values-based culture. The finalisation of the upgrade of the School of Education (Building 501) and the main Library, both built in the 1970s, are two examples of the work being done across campus to rethink and reimagine existing buildings for a new era of teaching, learning and research. Curtin expands its city presence to three heritage locations in the CBD with the shift of the Curtin Law School to its new premises at 57 Murray Street and the opening of Curtin University St Georges Terrace, at the historic Old Perth Boys’ School site, as a hub for community and stakeholder engagement. Curtin acquires the historic Perth Old Boys’ School on St Georges Terrace in the Perth CBD, returning to its roots and providing a central hub for deeper engagement with partners, prospective students and other key stakeholders. The Curtin Law School also opens at 57 Murray St, opposite the Graduate School of Business, adding another prestigious area of learning to Curtin’s academic profile and another historic building to its city presence. Work begins on creating a new main road into the Bentley campus at its northern end, to link it more strongly with the surrounding community and to establish the foundations of a vibrant, attractive, easily accessible public realm where a range of facilities will be provided. The new road gives priority to pedestrians and cyclists. Curtin’s medical school building, Building 410, is completed in time to welcome the first cohort of students to its new Bachelor of Medicine/Bachelor of Surgery program in 2017. The angular, white five-storey building at the northern end of the Bentley campus features collaborative learning facilities that are a departure from the traditional classroom model. A key milestone in the Greater Curtin project, the medical school building is situated on Curtin’s new main road. An agreement is signed for the development of the new Curtin Midland Campus in Perth’s outer eastern suburbs. The campus is intended as a clinical base for Curtin Medical School students in their fourth and fifth year of study, as well as for allied health students. The vibrant new campus is being designed to complement its heritage surrounds and to tie in with the Metropolitan Redevelopment Authority’s revitalisation plans for Midland. A $46 million agriculture research facility (Building 304) is opened at Bentley to allow scientists from the Centre for Crop and Disease Management to take crop disease research to new horizons. The four-storey building contains specially designed laboratory spaces that allow up to 80 researchers to work in a safe, contained environment on pathogens that pose a threat to Australian farming. It is also intended as a lynchpin within the Greater Curtin Master Plan for helping to activate the eastern side of the campus. Click the Facebook image gallery below to see inside Building 304. The University looks forward to welcoming its first students to the new Curtin Medical School, opening its Dubai campus, and marking major milestones within the Greater Curtin development. The $35 million redevelopment of the Agricola College accommodation complex at WASM is officially launched, significantly upgrading and expanding the facilities available to students in Kalgoorlie. Funding of $20 million from the State Government’s Royalties for Regions program has made the project possible. The Greater Curtin vision continues to be fleshed out with planning for 2,000 new student beds, retail outlets, new faculty buildings and the construction of a major new bus station. Plans also continue for the opening of Curtin’s newest overseas campus in Dubai.